At Torbay Chiropractic Clinic, we have our own in-house Chartered Physiotherapist, Kevin Matthews. Physiotherapy helps people affected by injury, illness or disability through movement and exercise, manual therapy, education and advice. It maintains health for people of all ages, helping patients to manage pain and prevent disease. Although Physiotherapy doesn’t make the body heal any quicker it makes the pathways of healing a lot smoother so optimising and promote healing within your body. Physiotherapy works by preventing back, neck and joint problems from becoming worse too and by getting people back to work quickly as well. Physiotherapy helps to encourage development and facilitate recovery following illness, surgery, disease or trauma enabling people to stay in work while helping them to remain independent for as long as possible. This is often described as “rehabilitation”. Physiotherapy-led rehabilitation can help people with long term conditions to work. Injuries: muscles ligaments, cartilage and tendons. Fractures: treatment to promote healing and gain full function once the bones have healed. Physiotherapists helps restore movement and function when someone is affected by injury, illness or disability. Treatment may consist of manual / hand-on therapy, manipulation, soft tissue release and exercises to name just a few techniques to resolve and manage painful conditions and diseases affecting the body. What happens during a Physiotherapy session at the clinic? Kevin will not only treat the problem by spending time with the patient but will often be able to show the patient how to minimise the impact of their problem and to help prevent the problem happening again. Your first appointment with Kevin? Kevin will first take a detailed history of your condition together with any relevant past medical history. A physical assessment will then be undertaken to determine the clinical diagnosis of your problem. Kevin will then discuss with you a proposed treatment plan and will give you an estimate as to the length of treatment required and the proposed outcome of your treatment hopefully putting you at ease. The initial assessment will probably last for half an hour and subsequent treatment sessions will also last for half an hour too. During your first assessment and subsequent treatments every opportunity will be given to you to ask Kevin questions about your condition and advice regarding its management and prevention in the future. What treatments might be used? 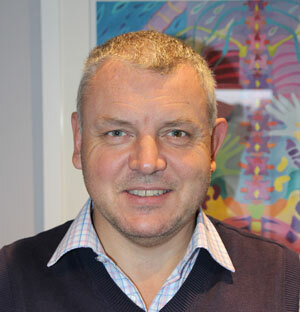 Kevin uses a number of different techniques including manipulation and mobilisation, deep and soft tissue massage, electrotherapy including Ultrasound, Low Level Laser Therapy and Interferential Stimulation. He also gives reassurance and education about a problem which gives patients the confidence to get back to normal activities quickly. When does Kevin work here at the clinic? Kevin also treat patients who have current medical insurance including BUPA, IPRS, HAS, Exeter Friendly Society, Aviva, Norwich Union but please phone if you are unsure. For more information or to book an appointment please phone The Torbay Chiropractic Clinics on 01803 329799.